We have decades of experience installing and removing insulation for retrofit residential projects and new construction in Toronto. We only use high-quality insulation material and high-tech equipment to guarantee comfortable indoor temperature, high energy efficiency, excellent soundproofing and overall great value for money. 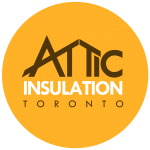 Our experts have decades of experience installing and removing insulation for retrofit residential projects and new construction in Toronto. Where Does The Majority of Heat Escape in A Home? What Could Be A Reason That My House Is So Cold? What Are Ways To Make Houses More Energy Efficient? What Are Some Cheap Ways To Insulate Attic For the Winter? Business Address:1283 Matheson Blvd. E. Unit B1,Mississauga,Ontario,L4W 1R1,CA |Tel: 647-931-6385 |Email: info@atticinsulationtoronto.ca.